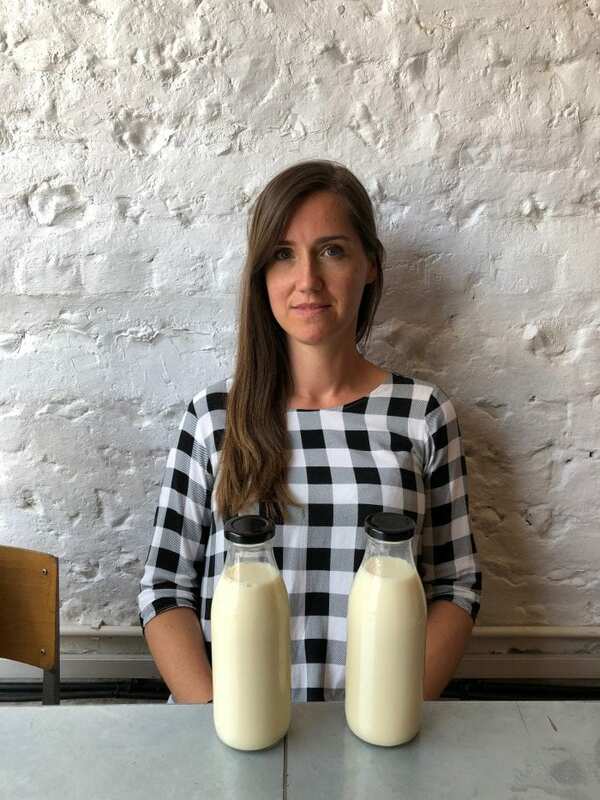 MA Sustainable Design student Sally Sutherland has been shortlisted as ‘outstanding’ for work challenging the acceptance of different milks in UK culture. Sally says that the work has a feminist agenda and challenges the acceptance of different milks in UK culture. The Creative Conscious Awards are a platform for new ideas that encompass world-changing creativity with the aim of inspiring designers to apply their talents to socially-valuable projects, promoting sustainability, freedom, social health and wellbeing. Sally came up with a series of artefacts as a way to re-imagine and explore the complex territory of milk. The body of work sits together as a collection of responses ranging from practical interventions to critical and speculative reflections and propositions. These include a collaboration with local zero waste Brighton restaurant Silo to create a sustainable milk for use in their drinks and deserts. This entry was posted in Design and craft, Postgraduate, Postgraduate stories and tagged Creative Conscious Awards, Sally Sutherland, Tom Ainsworth.